Youkai are mysterious, trouble-making spirits and demons that have tormented Japan for centuries. Kotoko's grandfather exorcised them for a living, but Kotoko never thought that her family lineage was an asset. Then she meets Kuro, a youkai doctor. Youkai have doctors? Now Kotoko is learning firsthand that healing the youkai is a lot more challenging than getting rid of them! 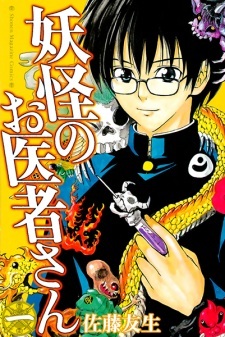 Youkai no Oishasan had three volumes published in English as Yokai Doctor by Del Rey from May 19 to November 24, 2009, before they were taken over by Kodansha.